Welcome To Our Woodbridge Dental Office! Welcome to Woodstream Dental, the office of Dr. Michael Valenzano. For over 30 years Dr. Valenzano and his entire team of dental professionals have provided Woodbridge, Vaughn, Brampton and Toronto residents with quality, comfortable and caring dental care. The minute you step into our front doors, you feel the warmth and friendliness of our dental team. New patients and referrals are always welcome! We believe that dental treatment goes beyond treating just teeth and gums. 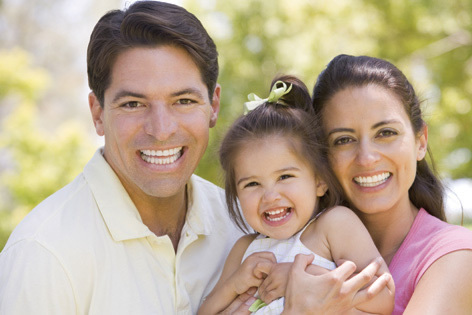 Good oral health is a result of perfect harmony between the joints, muscles, gums and teeth. Upon a formal dental examination, we will provide you with a comprehensive treatment plan that will address your oral health needs along with your own aesthetic and functional concerns. At Woodstream Dental in Woodbridge, we are committed to providing you with compassionate care in a comfortable and modern environment that will meet or exceed your expectations. Our Woodbridge dental office is conveniently located right next to the new Allegra Condominiums at Hwy 7 and Woodstream Blvd. We are wheelchair and public transit accessible with an YRT bus stop right in front of the shopping plaza. Free parking is also available and Italian, Macedonian and French is spoken by our staff members!